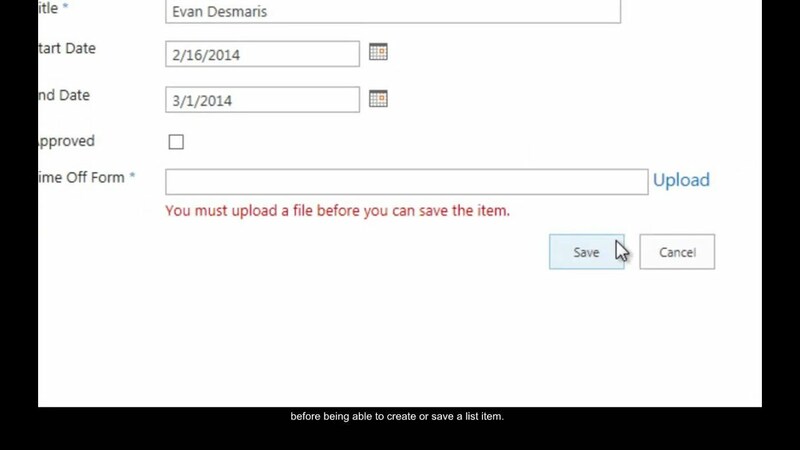 Gain control over your SharePoint file attachments! While using the out-of-the-box file attachments you can easily find yourself dealing with records that include a pile of irrelevant file attachments, or with missing file attachments. With the File Upload field type you have full control over the files that can or should be attached to SharePoint list items. In this scenario, we would like to validate the existence and the format of each of these exact files. A contract/project record may require attaching signed documents such as contract/agreement/SOW etc. We also may need to trigger a workflow once a specific file has been attached to the record. Maximum control over file types & sizes uploaded to SharePoint lists & libraries!